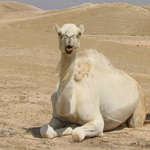 A unique tour following the footsteps of the Nabatans in Israel’s Negev Desert to Jordan. A full day tour in Petra is an unforgettable highlight of this tour. Just East of Jerusalem we begin an inspiring desert adventure. 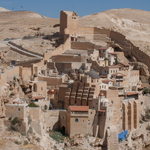 We’ll enjoy spectacular views of Jerusalem, the Dead Sea, cliff-hugging monasteries and the desert heights. Experience what our luxury 4WD vehicles are capable of as we climb and descend the desert tracks to offer access to off the beaten path locations. Hopefully you will feel the majesty of the desert and begin to understand why the monotheistic religions began in the desert.